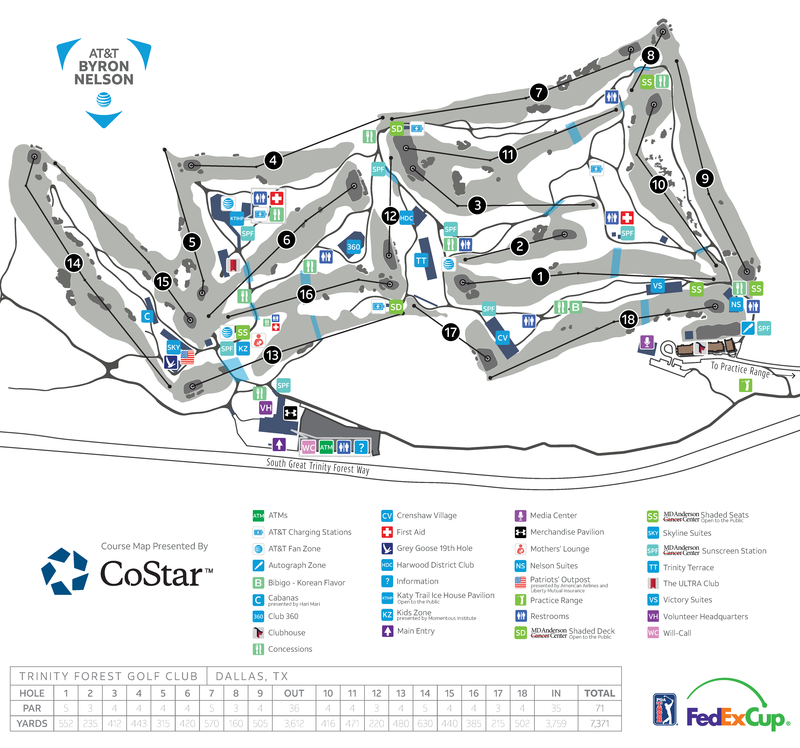 The links style course designed by Bill Coore and Ben Crenshaw sits on about 160 acres within the Great Trinity Forest. The course design provides for an easy access to all spectator attractions, as well as the ability to efficiently move around to different holes. The course is wide open, with many spots available to watch several holes at one time. Just inside the main entrance, you can cross the 13th fairway and find a spot where you can watch holes 5, 6, 15 and 16 from one place. The same goes for the 16th Green, where you can watch holes 16, 12, 1 and 17! You can also head down to the 8th Green, grab a bleacher chair and watch some of the top pros in the world try to dunk one from just over 100 yards on the par 3. For additional information on Trinity Forest Golf Club, please visit their website.